The Peacock has landed! 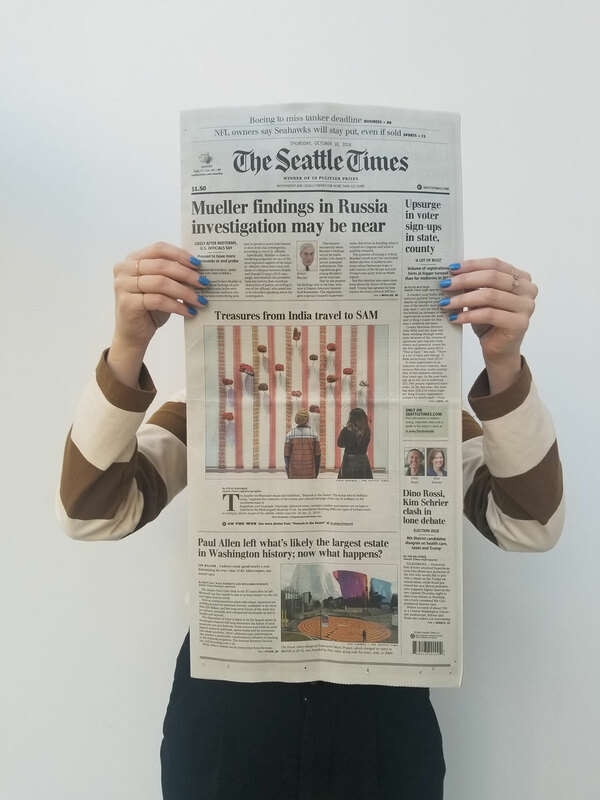 The Seattle Times’ Steve Ringman captured colorful shots of the galleries, one of which also appeared on the front page of last Thursday’s print edition. An overview of the exhibition and related events also appeared their Weekend Plus section. Check out more recommendations for the show in Seattle Met, Seattle Magazine, and ParentMap. 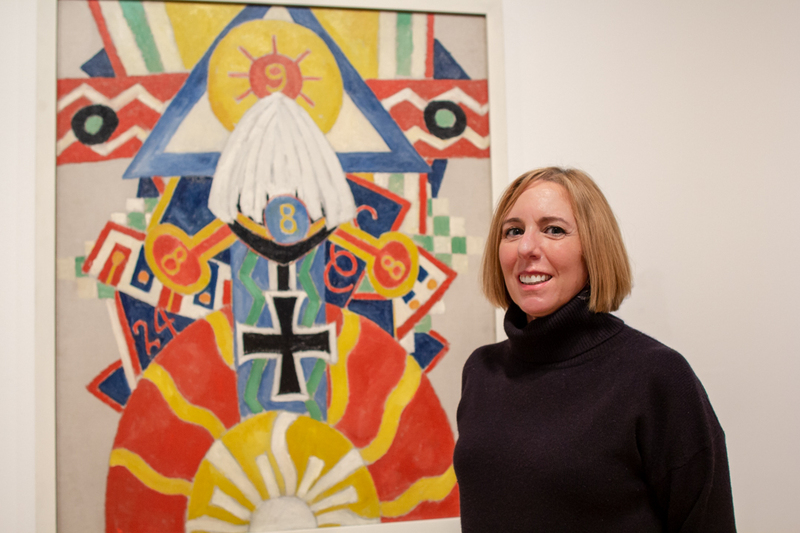 Last week, SAM announced the appointment of Theresa Papanikolas as its new Ann M. Barwick Curator of American Art. The Seattle Times had the exclusive, featuring an interview with Theresa. All of SAM was saddened to hear of the passing of Paul Allen last week at the age of 65; SAM director and CEO Kim Rorschach shared her thoughts on the massive cultural legacy he left the city of Seattle with Crosscut. We’re gonna need more Windex: Crosscut’s Aileen Imperial follows the Space Needle’s “Lead Glass Keeper” Paul Best on a typical day of keeping (literally) tons of glass clean. Here’s two reviews of Polaroids: Personal, Private, Painterly, Bellevue Art Museum’s new show of found photos from the collection of Robert E. Jackson, by City Art’s Margo Vansynghel and Seattle Weekly’s Seth Sommerfeld. Naomi Ishisaka for the Seattle Times interviewing Inua Ellams about his play Barber Shop Chronicles that runs for three nights at the Moore Theatre in November. Artnet’s Kate Brown explores a recent study that asks whether Leonardo da Vinci had a condition called exotropia that makes one eye wander off alignment—and whether it contributed positively to his work. Hyperallergic’s Sarah Rose Sharp with a gentle skewering (ha) of the recent event-within-an-event of Banksy’s shredded print at Sotheby’s. “If you like to hallucinate but disdain the requisite stimulants…” The New York Times’ Roberta Smith reviews Hilma af Klint: Paintings for the Future, now on view at the Guggenheim. The Royal Ontario Museum goes to pot.